Perfect for office use, this energy efficient track head is finished in black and can be adjusted both horizontally and vertically. 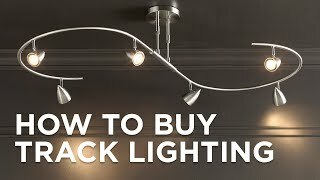 Offer directional lighting to your home with this black track head featuring energy efficient LEDs with a 2700K color temperature. Rotates 355 degrees horizontally and 180 degrees vertically with a 40 degree beam spread, giving you plenty of options. Dimmable to 10 percent with an electronic low voltage dimmer. From the WAC LEDme® Exterminator Collection. Made by WAC but for use with Juno track lighting systems. Made by WAC for use with Juno track systems. Also available with a 3000K color temperature. Light output is 1453 lumens. 355 horizontal rotation and 180 vertical aiming.